Less than half of the 25 pot shops set to open in Ontario have the final provincial authorization they need to open for business on Monday. 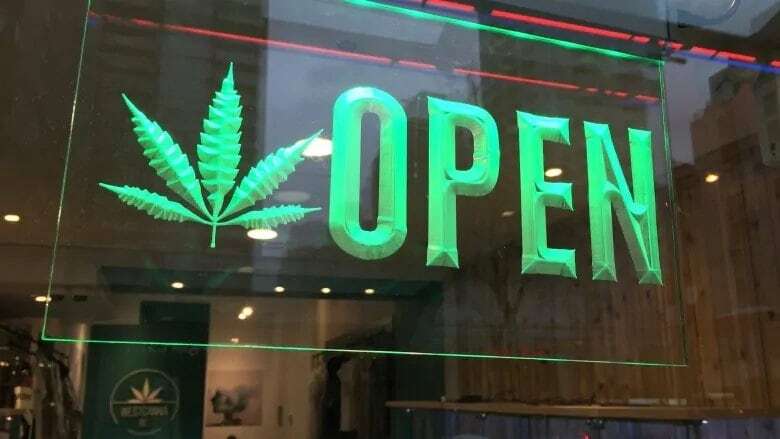 Ontario's first legal cannabis retail shops are set to open their doors next week, but some of the 25 licence holders are still wading through the lengthy approval process and might not be ready for business. Ontario is the last province in the country to open brick-and-mortar cannabis stores since Canada legalized recreational marijuana on Oct. 17, 2018. Currently, pot can only be legally purchased at Ontario's government-run online store. 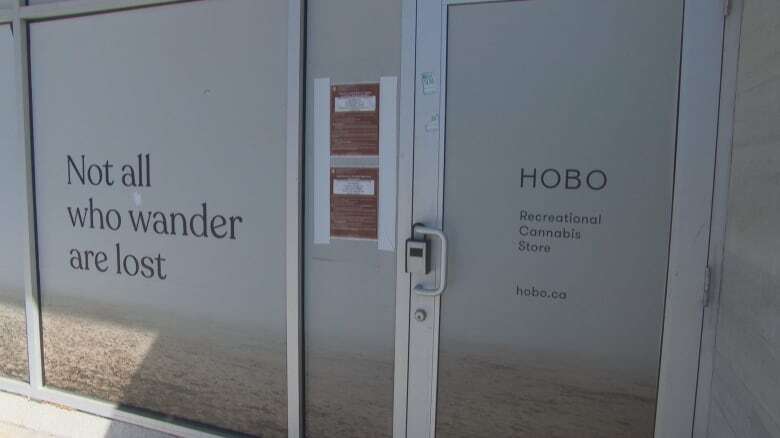 In Toronto, only one of the five shops set to open in the city have been issued their retail store authorization from the province as of Tuesday. A spokesperson for the The Hunny Pot, at 202 Queen St. W., confirmed to CBC Toronto that it will be open for business on April 1 at 9 a.m.
Two stores, meanwhile, have finished their consultation period but don't yet have the final green light from the province. Two others have consultations ending next week and the week after, respectively, and won't be able to open until then. Heather Conlon is one of the operators waiting on a final authorization — but she's hopeful she'll get all of the approvals she needs in time for Monday. She is the owner of Nova Cannabis, located a few blocks west of The Hunny Pot on Queen Street West. Conlon described getting ready for opening her shop as "a race." "There are a lot of people who are unsure. But there are also people who are excited and want to be involved," she said. Conlon said she initially faced challenges lining up financing because of uncertainty about the industry amongst some in the banking community. She said she also needed to partner with Alberta-based Alcanna, which operates liquor and cannabis shops in that province, to help her ready her store and staff it in a short period. The situation around Ontario is similarly patchy, with some shops ready to go and others still waiting to begin their public consultation process for store locations. Lottery winners then had to turn in their application along with a $6,000 non-refundable fee and a $50,000 letter of credit. They also had to agree to a strict timeline to open their shops. The Alcohol and Gaming Commission of Ontario (AGCO) has the power to draw down the letter of credit in stages in case of delays. Failing to open a store by April 1 can result in a $12,500 drawdown, while not opening by the end of April means applicants risk losing their $50,000 letter of credit. "It is difficult to predict how many stores will be ready to open right as of April 1," AGCO spokesperson Ray Kahnert said in a statement. "The AGCO will only licence operators and authorize stores once we are satisfied they have met all legal and regulatory requirements." Ontario NDP deputy leader Sara Singh said the government has "botched" the retail store launch by not giving lottery winners enough time to open their stores. "What this is actually doing is pushing people to the illegal market for their cannabis," she said. With legal pot currently costing about 50 per cent more than illegal pot, various experts on the cannabis market have been warning that Ontario's robust black market will likely not be impacted by the arrival of brick-and-mortar pot stores. But Omar Yar Khan, a vice-president at strategy firm Hill+Knowlton who advises cannabis sector clients, said he believed the government needed to start with the lottery system. "They were really looking to avoid any perception of favouritism, particularly given that the number of licences was going to be so low," he said. "But they haven't been able to make a dent in the black market." Khan said to address illegal sales, the government will need to move aggressively to open more stores when supply issues are resolved and upgrade the Ontario Cannabis Store website and delivery capabilities.